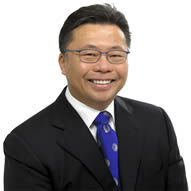 Ron Lee, is globally know as “The Corporate Ninja”. Ron is a motivational humorist, keynote speaker, executive trainer and an instrument of inspiration. He studied at the National Institute of Dramatic Art (where Judy Davis and Mel Gibson trained) and was involved in the performing arts as an actor, director and theatre critic. Over the past 22 years he has also studied six forms of martial arts. As well as regularly lecturing at the University of New South Wales, Ron trains senior executives internationally in leadership and personal power. He uses acting, humour and deeper martial arts philosophies. Ron has been consulted by the CEOs of some of the top 100 corporations in Australia, New Zealand, USA, Canada, Asia, Scandinavia and Europe as well as politicians and sportspeople such as marathon swimmer Susie Maroney. Ron has also had roles in eight feature films including the legendary “Zombie Brigade”. Ron performs an inspirational and interactive presentation that engages audience members to demonstrate ways in which martial arts assists individuals and companies to surpass personal and corporate goals. The presentations are delivered by Ron Lee or as a fictitious and credible Japanese industrialist and martial arts master. Delegates will be inspired to focus on solutions rather than problems and raise levels of self-expectation of their effectiveness. You get humour AND a powerful and a valuable message. If you could improve one aspect of your team culture, what would it be? – What keeps you awake at night? – What are your main challenges? – What aspects would be your areas of focus? – Balance in the seven areas of life? – Greater Focus on your Corporate Vision? – Improved Communication in the Team? Strategic Implementation of The Corporate Ninja’s philosophies and practices will address some or all of these issues and, according to continual client feedback, results in many benefits to your team members and your organization. Improvement is guaranteed.